We look forward to you! Your Maier zum Kirschner team and family. Send us a message. We are pleased to help you! The Maier zum Kirschner lies calmly at the lake, opposite the spa gardens and has always been run as a family business. The property gives our guest the feeling of Bavarian origin and comfort. Grown tradition – lived cordiality. The Maier zum Kirschner estate – former court of the Benedictine Abbey Tegernsee – was a rural property for centuries. 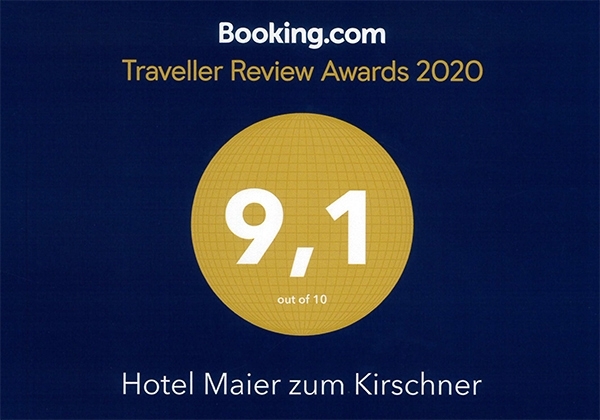 Today the hotel “Maier zum Kirschner” has been family-owned for six generations. And the seventh is already growing up.